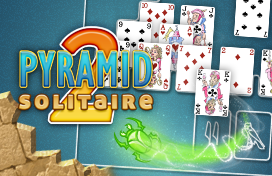 Play Royal Vegas Solitaire at Zigiz - Excitingly fun! 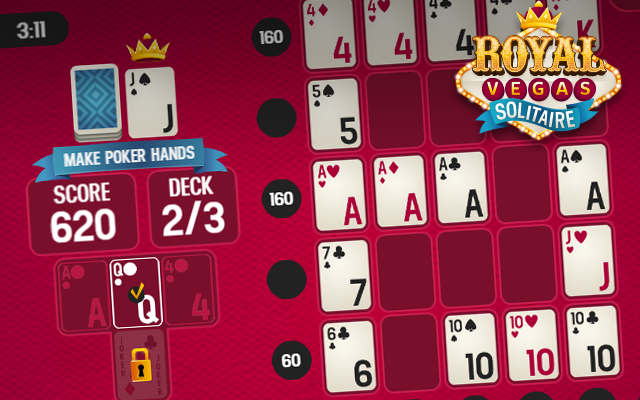 For those undiscovered poker stars among us, check out Royal Vegas Solitaire! 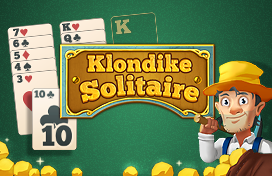 Though this isn't just a regular poker game, it's a crossover between poker and solitaire. The aim of the game is to place the cards on the field in such a way that they make make a poker hand, this can be done vertically, horizontally and even diagonally. So think carefully about where you place the cards as you could easily be missing out on a Straight, Full House or even a Royal Flush. Create poker hands by laying down cards on the 25 places on the field. You earn points for every poker hand you create. Unlock the joker by matching all three joker targets. Do this by laying down a card on a joker target that has the same value. Poker hands are counted when they are in a row, column, or in the 2 diagonals across the field. 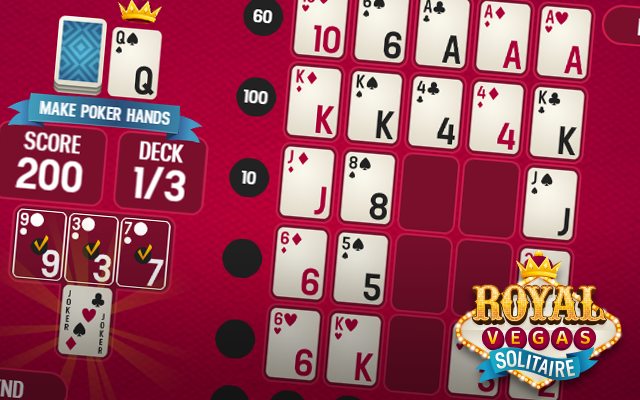 In Royal Vegas Solitaire you lay down cards on one of the 25 places on the field. You earn points for every poker hand you create. All poker hands count, as long as they are in a row, column, or in the 2 diagonals across the field. To help you, there's the joker card. It counts as any card. 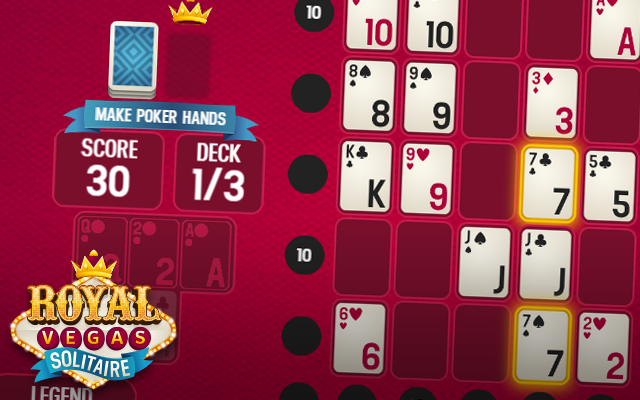 You can use the joker card to complete all poker hands. When you put down a joker card in a four of a kind hand, it will count as five of a kind! The joker card needs to be unlocked. You need to match all three joker targets to unlock the joker. You do this by laying down a card on a joker target that has the same value. You get three decks to play through. The cards that are already on the table at the start come from this deck. Laying down a pair gives you 10 points, 30 points for two pair, 50 for a flush. When you have three of a kind you will receive 60 points, 100 for a full house, 120 for a straight, and 160 for four of a kind. A straight flush is worth 300 points, a royal flush 450, and five of a kind is worth a whopping 500 points! Only the scores that are currently on the field count. For instance: when you lay down a pair, and later make a full house using that pair, you will only get the score for the full house. 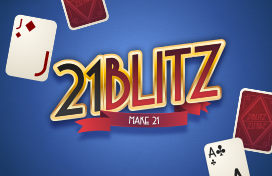 At Zigiz you can play the best free online card games, board games and puzzles - as often as you like! You can also challenge other Zigiz players with one of our multiplayer games. The games are optimized for tablets and mobile phones.